Traveling by air these days is challenging enough without the added strain of having kids along for the ride. But, of course, sometimes a family trip is in order. Still, who appreciates grumpy stares of other travelers when the kids are being…well, kids? These tips can help you—and other passengers--have as pleasant a flight as possible. Explain what to expect. Talk about your adventure and destination with your kids prior to the trip. Children are more likely to cooperate if they know what the procedure will be and what to expect when they get there. If you’re happy and excited about your journey, they will be, too. Schedule flights during off-peak times. Holidays and spring break can be chaos with crowded airports and a higher likelihood of delays. If possible, schedule your flights mid-day and mid-week. Avoid the last flight of the day, or you could be stuck in the airport if anything goes amiss. During take-off and landing, protect ears with breast or bottle feeding, gum, or a lollipop. Arrive at the airport early. Allow plenty of time for checking in, going through security, and finding the right gate. It’s nearly impossible to jog through the terminal with kids in tow if you’re running late. Allow time to put fresh diapers on little ones and to take older children to the bathroom before boarding. Many airports have play areas, so the kids can expend some energy during extra waiting time. Bring a stroller. 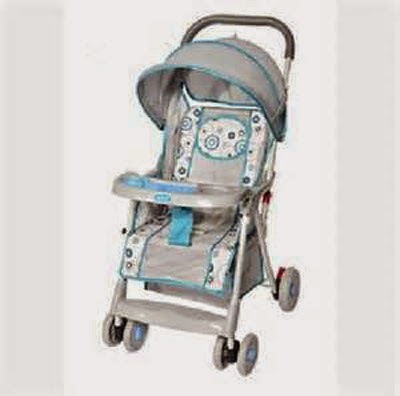 Leave the heavy-duty, pack-it-all-in model at home, and opt for a stroller that folds easily because you’ll need to do that at security and before boarding the plane (gate-check the stroller so you have it during layovers). When toddlers get tired of traipsing through the terminal, you can let them ride awhile (It’s easier for you if they are contained and not lollygagging behind). If kiddos prefer to walk, the stroller can hold backpacks and small luggage. Be prepared for glitches. Bring along enough healthy snacks that your kids like for the entire trip and possible delays. Skip candy and anything loaded with sugar. 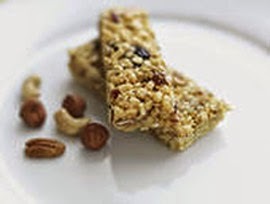 Finger foods like granola bars, pretzels, and fruit pieces work well and avoid big messes. For infants, include juice and baby food (Can you imagine taking an international flight without an extra bottle? Just listened to a poor baby cry all night because mom didn't prepare). Have plenty of items for entertainment easily accessible in your carryon. Late or cancelled flights can mean hours of waiting, so have a back-up plan in case this happens. You might even pack a couple of “surprise” items that can magically appear when a child is on the verge of a melt-down. Shop the dollar store for crayons, stickers, and small books to slip in your bag. If you have a DVD player bring it along (fully charged!) Hours of screen time don’t count during a flight. Head off potential mishaps by planning ahead and being calm and courteous to fellow travelers, flight attendants, and your children as well. Relax and keep a smile on your face, and hopefully everyone will have a good experience in the air. All images provided free of charge.